Karen Deutschlander of 36 Stephens Ct., Lancaster, thinks that gardening is less about growing plants and more about decorating. 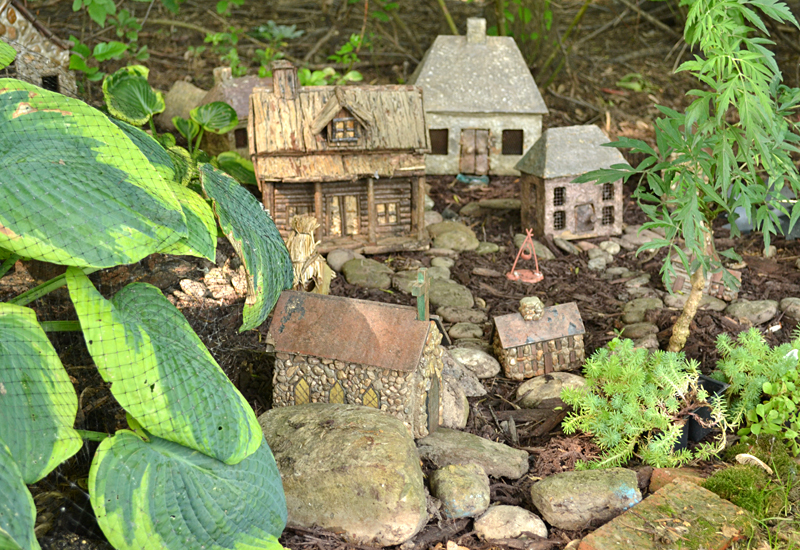 That makes her gardens a welcoming backdrop to Art in the Gardens, the first of three mini-walks to be held by the Lancaster Garden Walk in conjunction with Lancaster’s Old Home Days. Art in the Gardens will be held from noon to 4 p.m. Sunday, June 30. Six artists will display their work in six gardens. Works of Conrad Borucki, a Western New York artist specializing in photorealistic acrylic paintings, will be displayed in Karen’s gardens. Karen thinks that the rustic village scene tucked into the shady garden above will be perfect setting for a three-foot train painting by Borucki. If you look closely at the photo, you can see that netting is placed over the hosta. Many, if not most, of the plants in Karen’s gardens are covered with the netting to keep the rabbits and deer from eating the plants. Surprisingly, the netting is not very noticeable even when you see the garden in person. She just tucks the edges of the netting in around the plants. Tip: Be careful when you’re mowing because the netting can get caught in the blades of the mower. 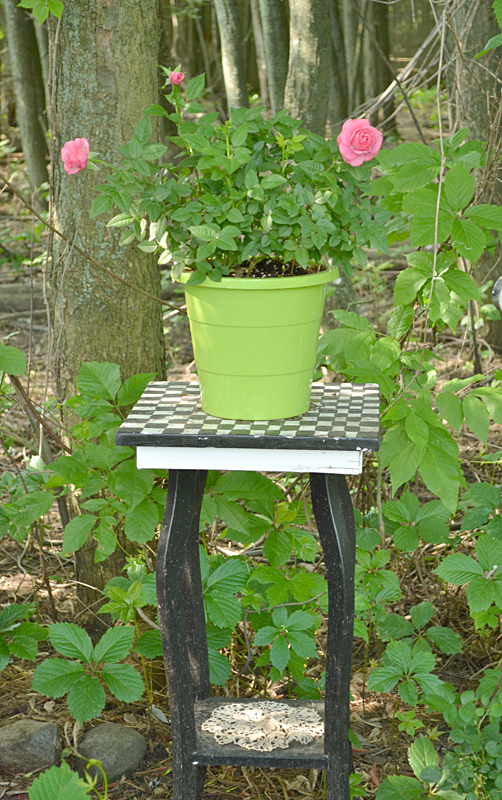 Roses in the Garden, the second mini-walk, takes place from 5 to 9 p.m. Monday, July 1. The red rose is the official flower of Lancaster, so everything from rose lilies to rose paintings to actual rose bushes will be shown. Karen has potted roses. She’s not sure how well they’ll do– the spot they’re set in doesn’t get much sun– but they can be moved. She will try to overwinter the plants in the pots. Lancaster Lights the Landscape, the final mini-walk, will take place from 8:45 to 10:45 p.m. Friday, July 5. 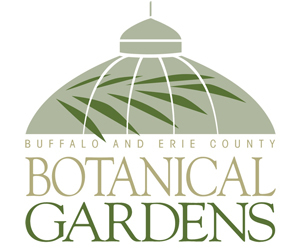 Lancaster gardeners will show their gardens under lights. This is the first nighttime garden walk in Lancaster. 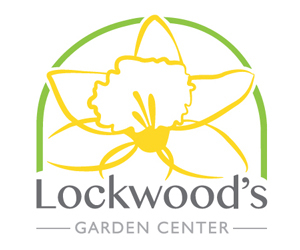 The main event, the Lancaster Garden Walk, will be held from 10 a.m. to 4:30 p.m. Saturday and Sunday, July 20 and 21. Maps for all the Lancaster events will be available at the Lancaster Historical Building, 40 Clark Street, Village of Lancaster. You can see Karen’s garden on the Open Gardens of the National Garden Festival as well. 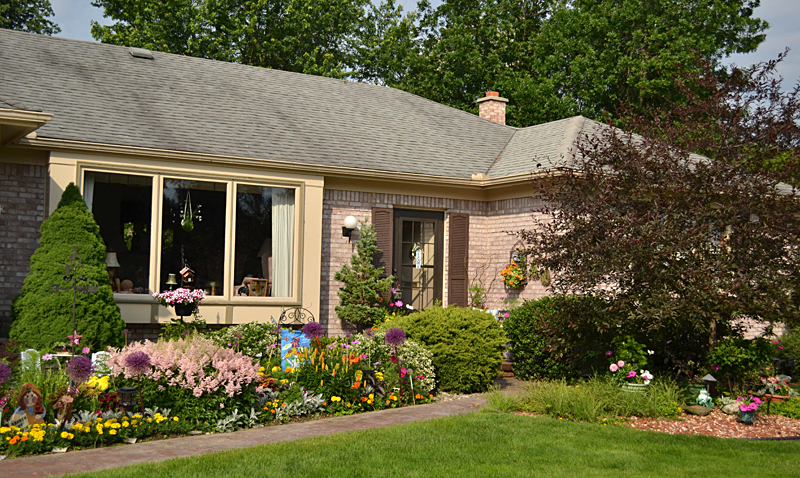 Karen’s front garden is filled with colorful flowers. If you look closely at the first photo, you’ll see several allium. An allium is a big, round flower on a stick. What’s interesting is that hers are purple while everywhere else in Western New York they are brown by now. The trick? She spray paints them right there in her garden. That’s not the only plant she has spray painted. One time she had a dead arborvitae, and the garden walk was coming up fast. She said she spray painted the entire bush and no one noticed. 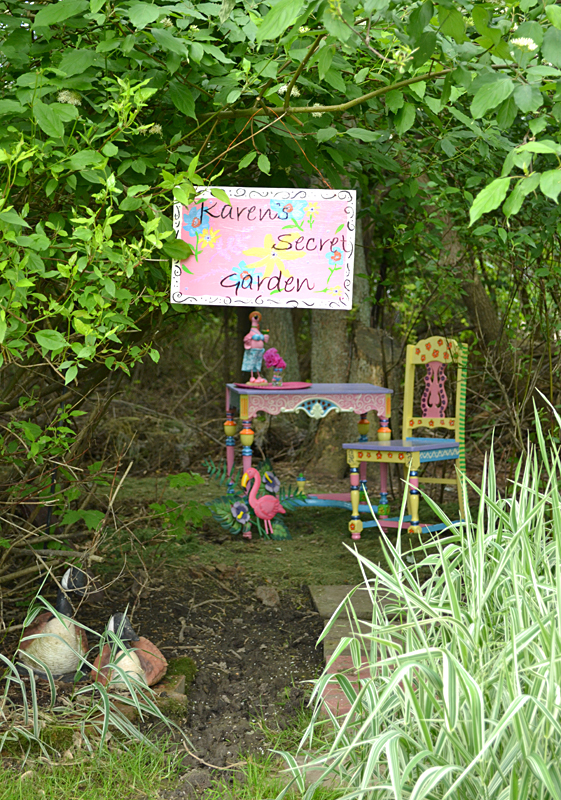 Karen enjoys themed garden beds containing vignettes or scenes. One of the first you’ll encounter is the Lancaster-themed bed, which you can see in the photo above right. Her husband Robert Deutschlander owned the Dutch Mill restaurant until 1996, and before that was a milkman for its predecessor, Dutch’s Dairy. 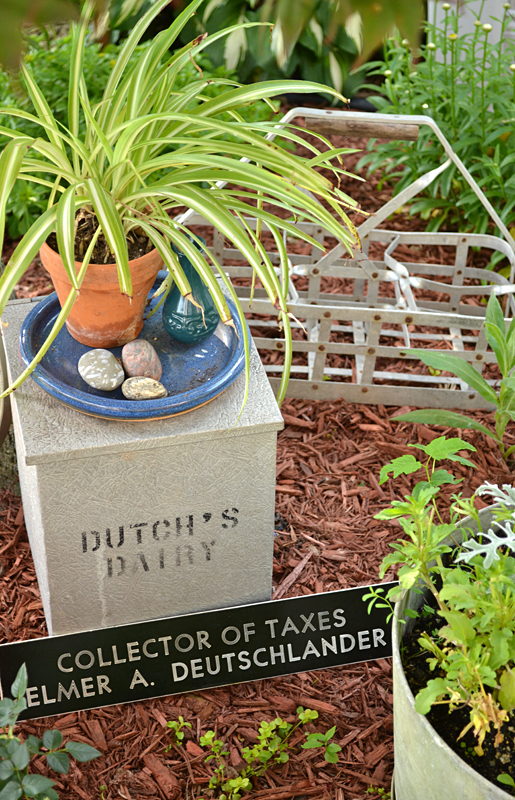 You can see an insulated milk container that a customer would have in his or her home, a carrier for the bottles and the nameplate for Robert’s father, who was the collector of taxes in Lancaster. The garden also displays original red bricks from Central Avenue in Lancaster, milk bottles and wooden shoes, keeping with the Dutch theme. Along the driveway there is a barn scene for children to play with, and in a town scene, kids are challenged to find the items, such as a dolphin, that don’t belong. Other vignettes include a Christmas scene and a beach scene. A new theme this year is Charlotte’s Web, based on the children’s book. It features Charlotte the spider dangling in the branches of a tree near Wilbur the pig, and lots of other little pigs and farm items are arrayed throughout the garden. 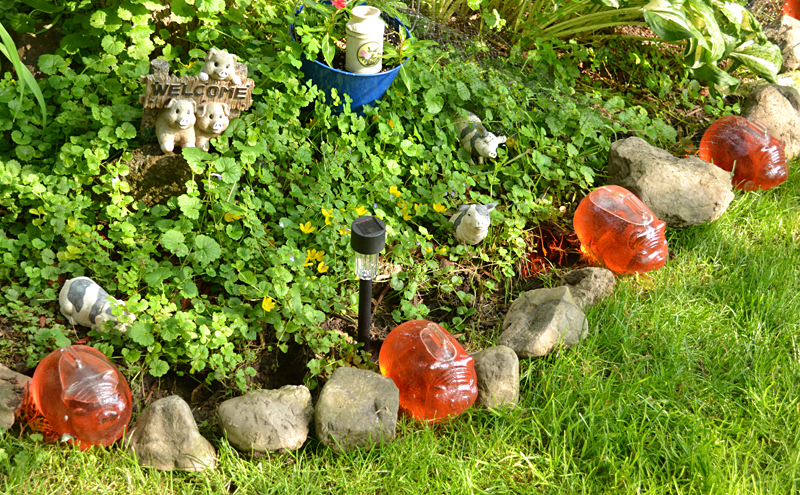 In the photo above, about a half dozen glass piggy banks filled with colored water are interspersed with rocks to form a border. 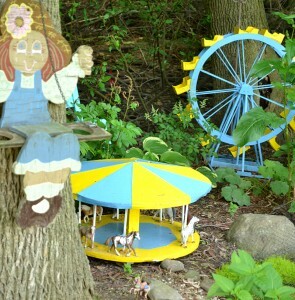 At left are a Ferris wheel and carousel made by Karen’s father for a garden with an Erie County Fair theme. 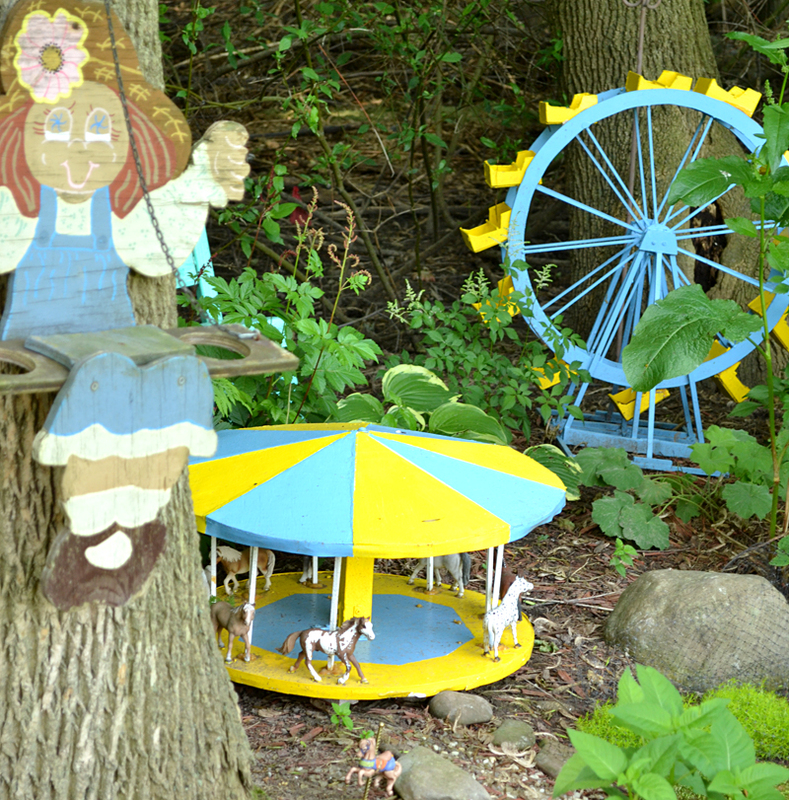 As Karen goes through her garden, she points out objects that were given to her– a wooden mobile from a cousin, a birdhouse from a daughter. A person who knew Karen only from visiting her garden dropped off boxes of houses. The most recent addition to her yard came as a surprise from a wonderful neighbor who painted the table and chair as well as the sign in the photo below. Karen teared up as she explained how amazingly thoughtful and generous this gift is– The neighbor lost her husband only two weeks ago. Karen says it’s her family and friends that make her garden what it is. At the end of the summer, it takes a good week to pack everything up, but it takes even longer to pull it all out and arrange it, she said. 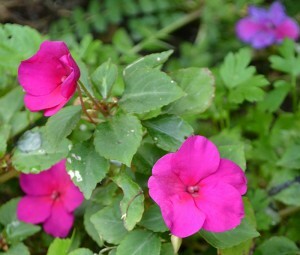 I wanted to share one last photo: healthy impatiens. We might not be seeing this in our gardens much longer because of downy mildew. Karen didn’t have a problem last year and decided to try it again this year. I asked her to let us know this fall how it worked for her. Cute displays. I have been seeing a lot of Impatiens this year. There will be a few very sad gardeners. 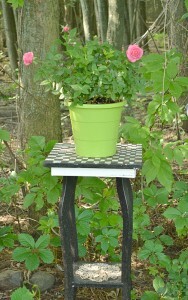 Thank-you for the great exposure you gave the Lancaster Garden Walk and one of the great gardens in our walk.